With Fathers Day right around the corner, I thought I’d share this. A few months ago in Elders Quorum (Mens Group), we had an excellent lesson on the roles of fathers to their children. Part of the lesson included a list of ways fathers should give spiritual guidance to their children. This list comes from the talk given in 1987 by Ezra Taft Benson (the LDS prophet at the time) entitled “To the Fathers in Israel“. I’ll share the list with my comments to each point. 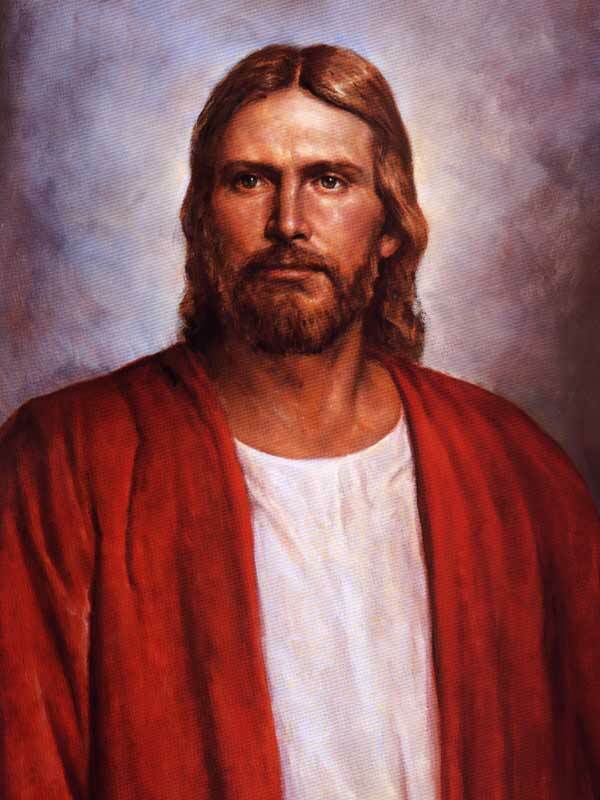 In the LDS church, Elders receive what is called the Melchizedek Priesthood. Fathers who are Elders and hold this priesthood can give blessings to their children under the inspiration of the Holy Spirit and say the words that God prompts them to say. For those who are not LDS, saying a prayer under the guidance of the Spirit with your children is another way to do this. Personally, I saw the value of fathers blessings while growing up. I remember when I needed some extra help with school work or I was sick that I could always come to my father for a blessing. It brought peace to me knowing I could do that and helped me on many occasions. I think it is interesting that he doesn’t just say “have family prayer,etc.” but he makes a point to say “personally direct” family prayer. I think it is important for children to see their father take initiative in spiritual matters. I feel it is important mainly because children are used to seeing the “soft side” or “spiritual” side from mothers, but it can be more impactful coming from the father. It makes a big difference having the whole family at a church service. It is important for children to see their fathers eager to learn and gain spiritual knowledge. Also from a practical standpoint it is much easier to help teach children the importance of worship when the father is there to help the mother. One of my most charished memories as a child was a trip we all took to Yellowstone. I remember floating with my family in a canoe in the river. Although the water was totally cold, my parents seemed to have fun with each other and we all bonded as a family when a water fight broke out! As a young kid my one-on-one visits with my father saved me spiritually on some occasions. It seemed that my Dad was always inspired and had answers that could help me with decisions. The one-on-one visits weren’t usually scheduled “interviews”, rather they were held usually as we were working on the farm together. Work is something that my father definitely taught me. As alluded to in the previous section, I feel it is important for fathers to work along side their kids. Not only will it show them a good example and teach them how to work, but they will bond with you through conversation as well. Right now, it is very easy to have good music with a 2 year old and a supportive wife. Where I would be interested in hearing from readers are from those of you with older kids who want to listen to pop music that may not be the best. How do you go about encouraging good music, literature, etc. in the home? My wife and I used to work in the temple. I notice that the more time we spend in the temple, the more patient, kind, and loving we are with each other. I think it is crucial for parents to love each other if they want their kids to have the best chance against temptations out there. I feel that church service is something that is good, but that shouldn’t take precidence over the other items mentioned previously. I have seen people who focus too much on the church and their families are neglected. I have seen where this causes animosity between the kids and the church because they feel it is taking too much time away from their Dad. I have also seen personal relationships damaged because the father is building relationships with other people they serve in the church, while neglecting their own family. What are your thoughts about this list? Do you have any other suggestions or experiences with this? #8 – you’re not going to stop it. Tastes in art don’t have a lot to do with values and beliefs. You like what you like; music and art appeal to our animal brains. The only difference is how that art will affect you, and if you’re worried about that, all you can do is try to emphasize the values you want your children to espouse. But if you want them to think that your values are positive, rather than condemning and constricting, then you’ve got to let them explore things outside the realm of what’s acceptable to you. The only things that have been shown to be objectively harmful to young minds is graphic violence in movies, TV, and video games (I don’t think anyone has studied the effect of derogatory or violent lyrics in music). Everything else is all about the mindset you bring to the experience. That’s my experience. If my parents had tried to stop me from reading Harry Potter or listening to Christina Aguilera, I wouldn’t have reacted positively, and I would have probably not seen my faith in a positive light. That’s just the adolescent mindset. Point 2 I’m blessed to have a husband who personally directs the prayer, scripture study, and FHE. We also have monthly family counsels. My husband leads these. I provide an agenda (that has been filled out), which helps him to personally direct. Often, he’s just coming home from work when it’s time for dinner, then FHE. I know that I can help support him in his family duties, and it creates a wonderful home environment. point 4 My oldest daughter is 10, and she still loves all of the daddy/daughter or mommy/daughter dates we do. As you see your daughter’s personality develop, you will know what she will and won’t like. Other things that have worked: working on a project together (for example – building a birdhouse). Our children have also liked doing things that are our interests – that we don’t usually include them on. Just do a variety of things. Oh, and we have four kids now. Only one kid does the daddy/daughter date per month. So each child will have 3 dates a year. Point ten I have seen the situation where people devote so much to the church that they have nothing left for their families. It is a really fine balance. And the tough thing: the spirit is more nuanced in these situations. I mean, helping someone else is a good thing, and the Spirit will, of course, confirm that it is good. However, we need to be searching out what is best. Great post…sorry for the long comment.